Timber Banks is the only Nicklaus Design course in upstate New York. It will test your decision making off the tees and your imagination around the greens. 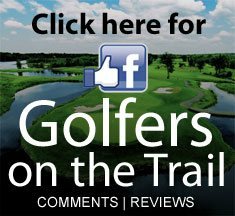 Measuring over 7,300 yards from the Bear Tees and just under 5,200 yards from the Red Tees, Timber Banks offers a scenic and rewarding challenge for golfers of all ages and abilities. True to form, this Nicklaus Design has risk-reward strategies built into every hole that will encourage aggressive play and reward a well executed shot. Carved from woodlands, meadows, and wetland crossings, this course has beauty and challenges. Enjoy the tranquility and easy pace of a golf course community, designed to blend gracefully with the fields and woodlands surrounding Timber Banks. Creatively planned for village living, Timber Banks has 885 acres of rolling hills and woodlands situated along the Seneca River.